Newly installed Regional Development Minister Igor Slyunyayev meeting with Putin at his Novo-Ogaryovo residence Wednesday. In his first Cabinet shuffle, President Vladimir Putin on Wednesday appointed former Kostroma Governor Igor Slyunyayev as regional development minister and ordered him to pay special attention to raising the safety standards of housing. The Kremlin said in a brief statement on its website that Putin had signed an order dismissing Oleg Govorun, who was appointed regional development minister in the Cabinet unveiled five months ago. Govorun's short stint in the Cabinet is an anomaly for Putin's government. Putin has a reputation of showing unwavering loyalty to his inner circle, retaining ministers and other aides for years and brushing off outside criticism over their performances. 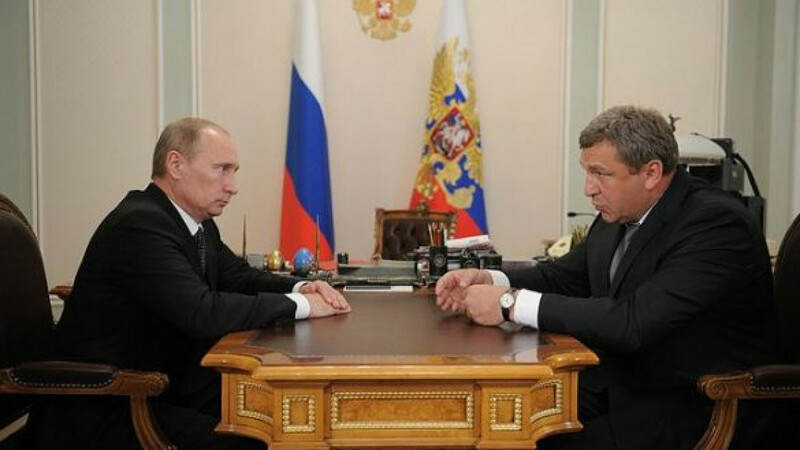 Govorun had called in sick to work since late September, apparently upset over a public reprimand from Putin. The president on Sept. 19 scolded Govorun and two other ministers for insufficiently carrying out orders that he had signed on the day of his inauguration, May 7. Reports that Govorun had submitted his resignation to Putin had circulated for several weeks, but the Kremlin and Regional Development Ministry had repeatedly denied them. On Tuesday, Putin's spokesman Dmitry Peskov again rejected a report that Govorun was out. It was unclear whether Govorun resigned or was dismissed, and a Regional Development Ministry official said that only the former minister and Putin knew the truth. "I cannot say for sure whether the minister wrote a letter of resignation — only two people could know about that," the unidentified official told Interfax. "But we know that the minister wanted to leave office after the reprimand from the president." Putin met on Wednesday with the new minister, Slyunyayev, and urged him to work quickly and efficiently to construct and repair provincial housing. "The ministry faces many problems, but I beg you never to forget and to pay special attention to one of them: dilapidated and unsafe housing," Putin said during the meeting at his Novo-Ogaryovo residence outside Moscow, according to a transcript on the Kremlin's website. "We have a related program that allocates funding, and it is important that every ruble is spent effectively to resolve in a timely manner the problems that have accumulated over decades," he said. Slyunyayev praised the program — the Housing Reform Fund — as a "very efficient, effective tool that has helped resolve the problem of old and dilapidated housing in recent years." He said one of his first tasks as minister, however, would be to make sure that housing across the country receives sufficient heating this winter. Slyunyayev, an Omsk region native who turned 46 on Oct. 4, graduated from a Moscow police training school with a degree in law and worked at a private bank in the 1990s before entering government service. 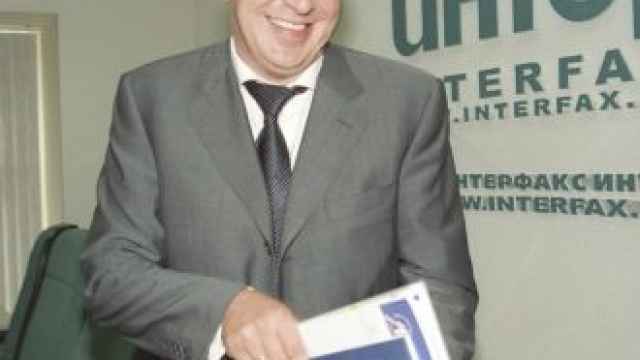 He served as deputy transportation minister from 2000 to 2003 and a Federation Council senator representing the Altai region in 2006. Putin appointed him in October 2007 as Kostroma's governor, a position he held until he resigned without explanation in April. Slyunyayev joined a flock of governors in leaving office ahead of the return of direct gubernatorial elections last weekend. The early departures allowed the Kremlin to install new governors, thus limiting the number of gubernatorial elections and ensuring that friendly allies remained in office.